What is stainless steel fabrication? Do you commercially clean, deburr, or polish metal parts or jewellery? Are you seeking quality goldsmith equipment to help set up your shop? Need jewellery cutting tools that deliver a perfectly polished result? If the answer to any of the above is yes, there’s a handy new solution now available —The Multi-Purpose Rota Barrel Rolling Machine. This innovative piece of kit can be used for metal tumbling, jewellery washing, thermal deburring, aggregating liquids, or jewellery die cutting. What’s more, it’s customisable to boot, so can potentially be employed for even more purposes. A stand-alone machine, with a durable, custom built variable barrel roller that makes jewellery cleaning a cinch. The Rota Barrel Commercial Tumbler is a cost-effective way to clean, buff, or tumble jewellery, metal parts, tools, and more. Whether you’re seeking an effective metal tumbling method, looking for a jewellery washing machine that works, or searching for a tumble finishing machine to produce beautiful stones for your handmade jewellery – this all-in-one device is built to deliver. A 316 grade stainless steel drum, custom made to your size specifications, plus a variable speed motor that can be tailored to fit your company’s unique requirements. All parts have been crafted using the highest quality materials and have been cut to precision to for a perfect fit. Built to last by master craftsmen, cost-effective, and low energy, this variable barrel rolling machine makes the ideal eco-friendly addition to your brand. If your business specialises in cleaning, repairing, restoring, or creating Jewellery, this device will make an innovative addition to your collection of jewellery forming tools or goldsmithing equipment. Need to know how to tumble jewellery? Ever wondered how long do you tumble jewellery for to achieve that perfect result? The Rota Barrel Commercial Tumbler can be built to suit your jewellery tumbling requirements. Just pop in your stones and hit the power, selecting one of the pre-set custom settings to produce perfectly tumbled beautiful stones. 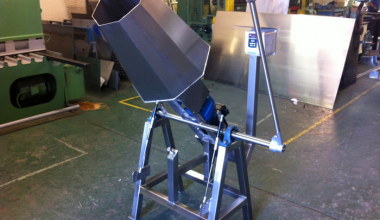 If you handle a lot of metal parts that often need cleaning or deburring, this device can be customised to offer you an effective metal deburring system, providing you with the ideal, low-cost thermal solution. Working in a jewellers or other craft trade and have tools that you want to protect from rust and corrosion? Just place them in this handy machine and add a corrosive chemical for cleaning, to remove the patina of grime that makes precision tools less effective. These are so many uses this ingenious device can have. One customer put gold ingots in with a chemical cleaning solution, while another used theirs to place small pressed components in with water, then aggregated together to debur the components. The flexibility of the custom built rota barrel on this variable speed barrel rolling machine, paired with our special “size to suit” service, means you can tailor your device to fit almost any purpose. Ideal for metal tumbling, metal deburring, thermal deburring, or jewellery die cutting, the highly adaptable design offers you the ultimate in customisation. The efficient barrelling process and ultra-variable rotor setting, provides your business or workshop with an advanced, environmentally friendly way to clean, deburr, polish, or tumble. 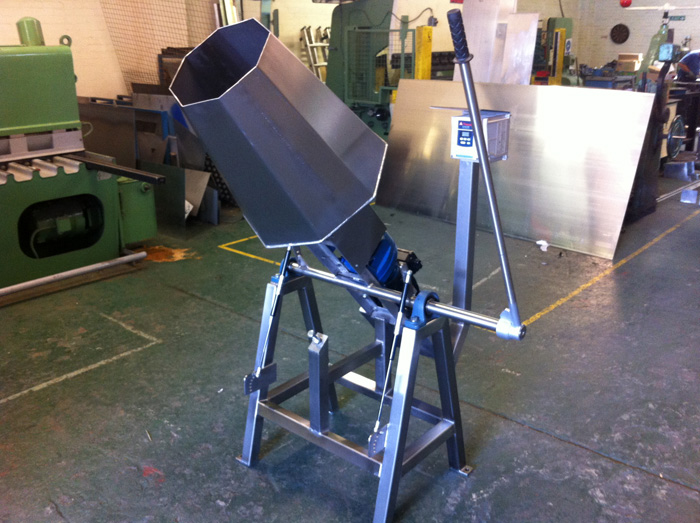 Are you interested in commissioning your own custom Rota Barrel Rolling Machine? Costs vary but are very competitively priced, and as the device won’t drain your power or add a hefty fee to your business overheads, it’s suitable for smaller budgets, start-ups, or solo traders. Take a look at this link to preview design specifications, or alternatively call [INSERT NUMBER], or email [INSERT EMAIL], to find out more, or place your custom order.